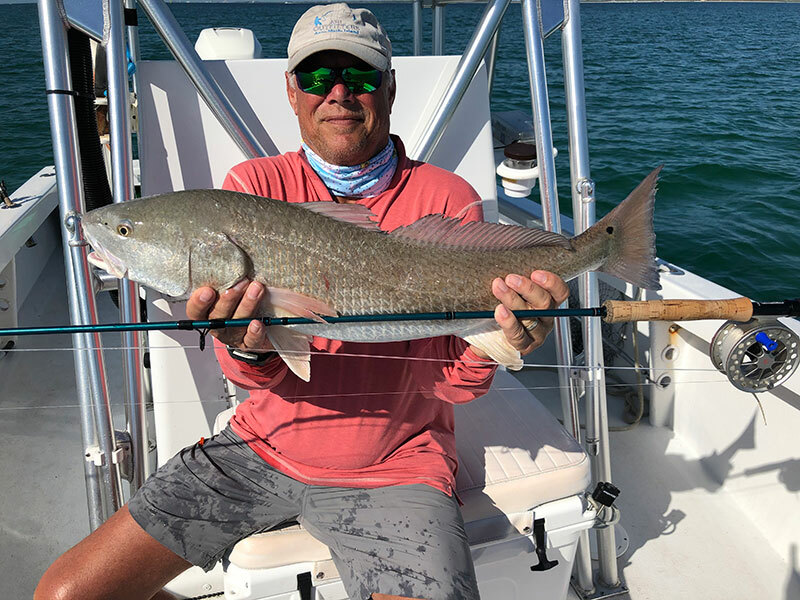 Harvey Westmaas, visiting Anna Maria Island from Jenison, Michigan, shows off an overslot redfish caught March 17 on fly on a guided fishing trip with Capt. David White of Anna Maria Charters. Ken Powell, an area golf pro, shows off a yellowtail jack he caught March 14 while fishing nearshore with white bait. 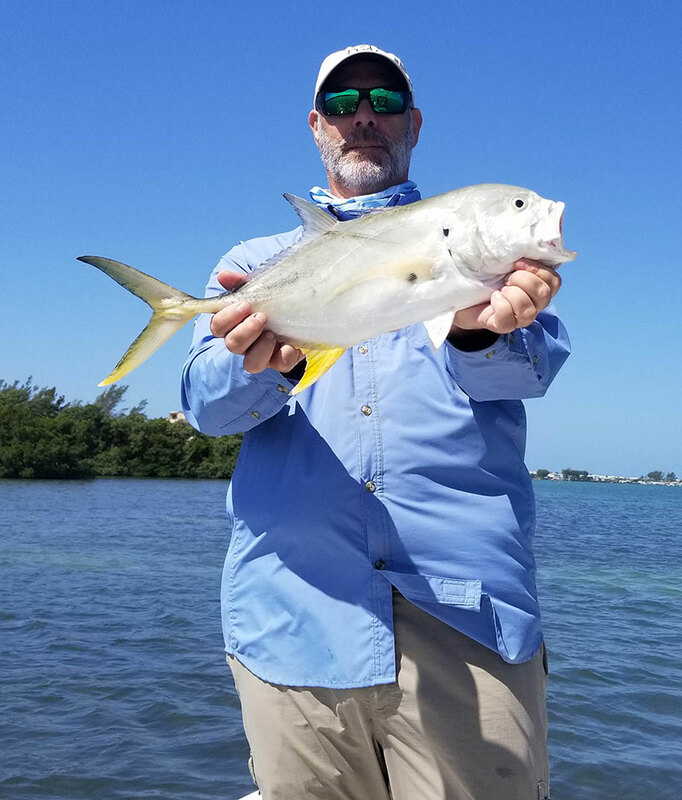 Powell caught several catch-and-release jacks in Sarasota Bay on the trip, which was guided by Capt. Warren Girle. Fishing around Anna Maria Island is proving to be quite good on days when the weather cooperates. On warmer days with light breezes, fishing the flats for sport — catch-and-release snook and redfish — is where it’s at. On the higher tides, the fish are on the feed and are readily taking offerings of live shiners. Spotted seatrout are being found, although in slightly deeper water. While targeting trout, you may encounter Spanish mackerel and ladyfish. I’m noticing that where the macks and ladies are are finning, so go the blacktip and bonnethead sharks. Both species of shark being caught are on the smaller side — averaging less than 40 inches. 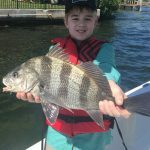 The tail end of the sheepshead bite is still going strong, which is good if you’re looking for some table fare. I’m finding plenty on structure in Tampa Bay and getting encouraging reports from the Rod & Reel Pier. Live shrimp for bait is working fine, although fiddler crabs and sand fleas will give you an added edge if the convict fish become stubborn. Moving out of the comfort of Tampa Bay and into the Gulf of Mexico can be rewarding. Spanish mackerel and kingfish are being found around ledges, reefs and wrecks. These areas also are host to mangrove snapper and, if you’re lucky, cobia. Permit, amberjack and red grouper are being caught offshore on days with calm wind and seas. On my Southernaire fishing charters, I’m spending most days tucked away in the mangroves to target catch-and-release snook and redfish. Both species are responding well to free-lined shiners on a light fluorocarbon leader. For the snook, most are 20-26 inches although fish up to 32 inches are coming to the hook. The same applies to the reds. 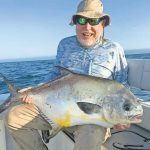 I’m seeing a lot of fish reeled in between 16-27 inches, with a few upper- and over-slot fish in the mix. Spotted seatrout also are coming to the boat, although a consistent trout bite is hard to come by. I’m finding good numbers of fish in an area one day but on the next day’s return, the fish are gone. Still, I have an arsenal of trout spots, so it’s just a case of finding where they went. In some areas, especially deep grass flats of 6-8 feet, I’m catching Spanish mackerel mixed in with the trout, which adds an element of surprise to the bite. The bite also results in a lot of retying hooks, thanks to the mack’s razor-sharp teeth. Some days, I’m using shrimp as bait, which are working well for sheepshead. 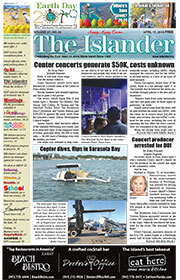 Fishing structure in Tampa Bay is yielding sheepies 3-5 pounds. A few snappers and Key West grunts are mixed in, which is the perfect recipe for a fish fry. 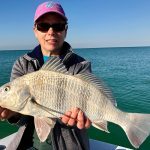 Jim Malfese at the Rod & Reel Pier says sheepshead are being caught in good numbers by fishers baiting live shrimp and casting weighted jigs under the pier. While fishing for sheepies, pier anglers also are reeling up mangrove snapper and catch-and-release redfish. Casting shrimp out from the pier on a weighted rig is yielding a bite from some whiting, as well as pompano. Also, silver spoons or small pink jigs are attracting Spanish mackerel on days when the bay is calm and bait schools are present. Capt. Aaron Lowman is running his charters inshore to fish throughout the lush grass flats of Tampa Bay and beyond. Casting into the shallow grass flats along mangrove shorelines and oyster bars is proving good for catch-and-release snook. Free-lined shiners in these areas are producing good quantities of fish, including catch-and-release redfish. Moving to slightly deeper grass flats is producing action for Lowman’s anglers. In depths of 4-6 feet, spotted seatrout and Spanish mackerel are present and freely taking free-lined shiners. Capt. Jason Stock, on less windy days, is running charters offshore. Targeting blackfin tuna is proving successful, with numerous fish being caught. Large permit are being found when the conditions are right. On windier days, Stock is staying inshore and targeting catch-and-release snook and redfish, and finding both are cooperative. Capt. David White of Anna Maria Charters is working inshore for a variety of fish. Fishing shallow grass flats where mangrove shorelines and oyster bars exist is yielding numerous catch-and-release snook and redfish for his sport anglers. Deeper flats are holding spotted seatrout, as well as Spanish mackerel for the coolers. Moving offshore, White is seeing his share of blackfin tuna, as well as big kingfish. 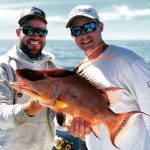 Bottom fishing offshore is good, with plenty of mangrove snapper and red grouper rounding out the bite for White. Capt. Warren Girle is venturing to the Gulf of Mexico on days when the winds are light and the seas are calm. Fishing around ledges and artificial reefs is yielding mangrove snapper and Key West grunts for his clients. He’s also finding Spanish mackerel and kingfish within range while in the Gulf. Casting live shiners is attracting many macks and kings. Top-end on the kings is about 20 pounds, Girle says. Moving inshore, his anglers are finding success on free-lining shiners for spotted seatrout and catch-and-release snook. Both are cooperating on warmer days. Lastly, Girle is encountering some random cobia on the deeper flats, with one measuring 36 inches to the fork of the tail.